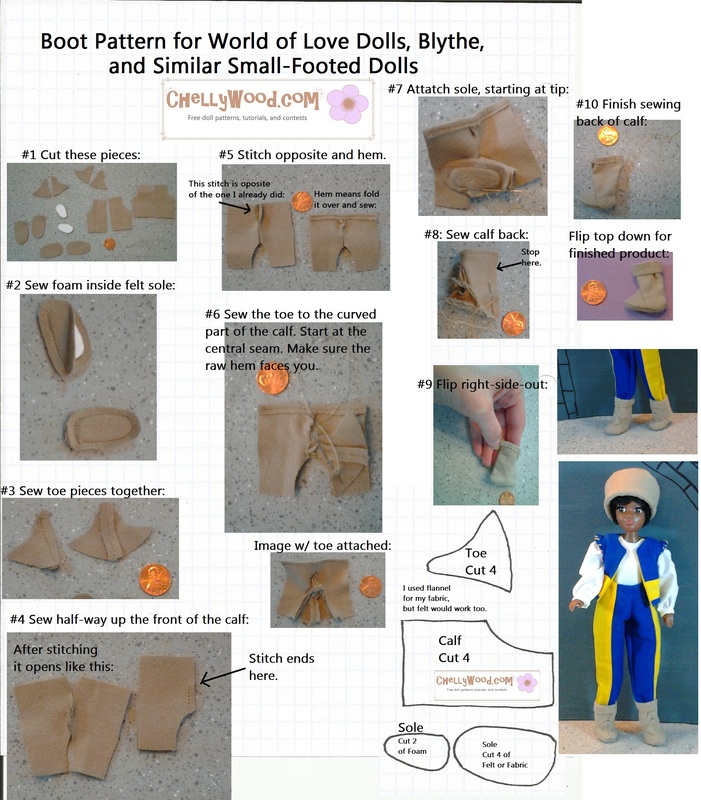 Earlier this week I introduced you to the World of Love doll named Soul, and I explained how she will be playing Benvolio in the upcoming stop-motion version of Romeo and Juliet. 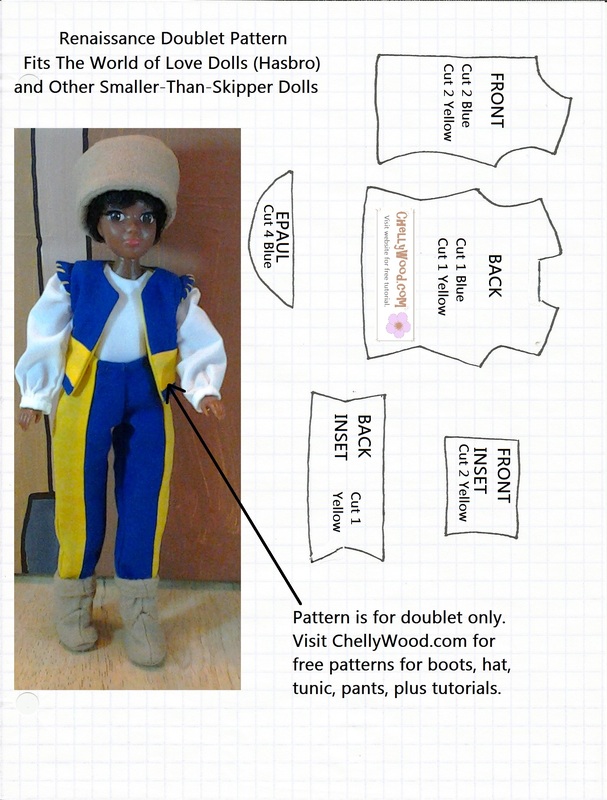 On Wednesday, I shared my pattern for Benvolio’s shirt and pants. 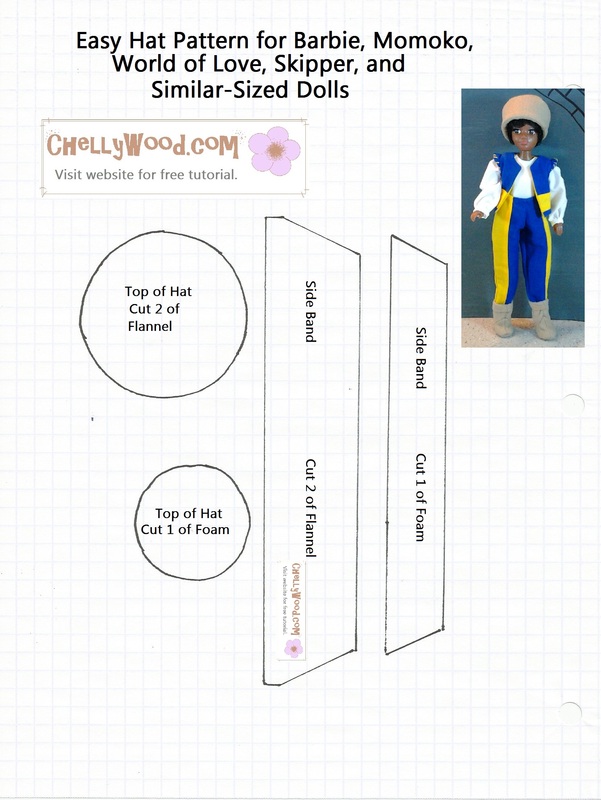 I also offered links to the vest, hat, and boots patterns. 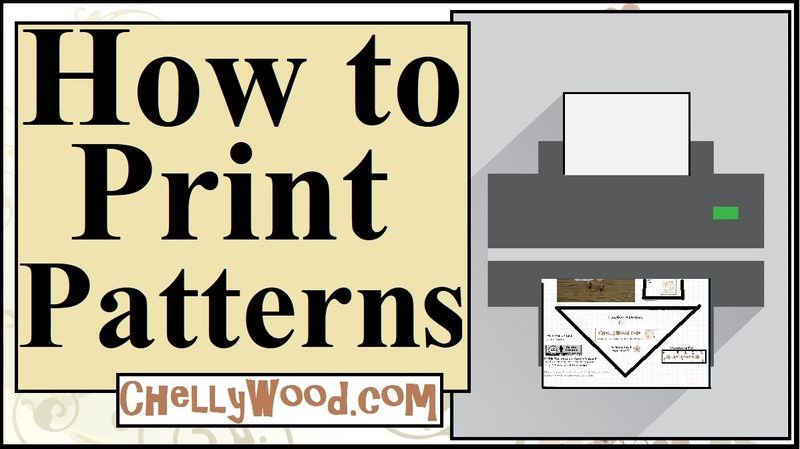 Today I’m going to hook you up with the video tutorials that match. Below, you’ll see the video for making Benvolio’s shirt. It should fit Breyer dolls as well as World of Love dolls and some dollhouse-sized 8″ dolls. 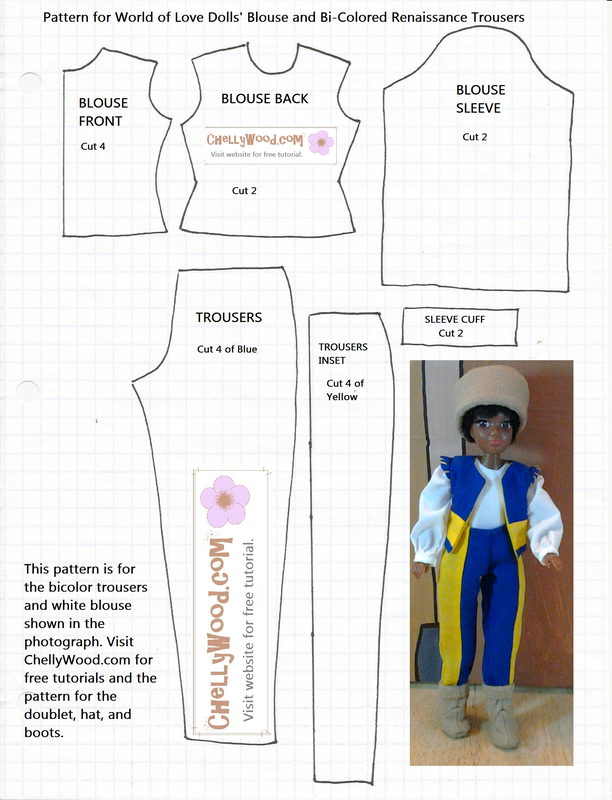 Here’s a link to the video for making the vest, and here’s a link to the video that shows you how to make bi-colored trousers using Benvolio’s pants pattern. This video shows you how to make the hat as well. Wondering why I give stuff away for free? Visit my “Chelly’s Books” page.